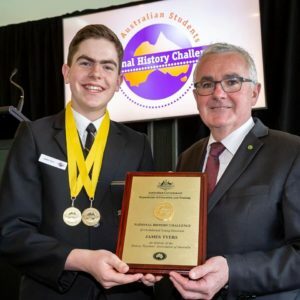 Congratulations to James Tyer who is the 2018 Australian Young Historian. James, a Year 10 student from Tasmania, researched how the the changeover to a decimal currency was a turning point for Australia. His engaging multimedia presentation included extensive use of archival material.